I stumbled on this recipe through the Sledgehammer Wine Facebook page. I’ll definitely be exploring The Healthy Foodie site some more, because this recipe is absolutely outstanding. 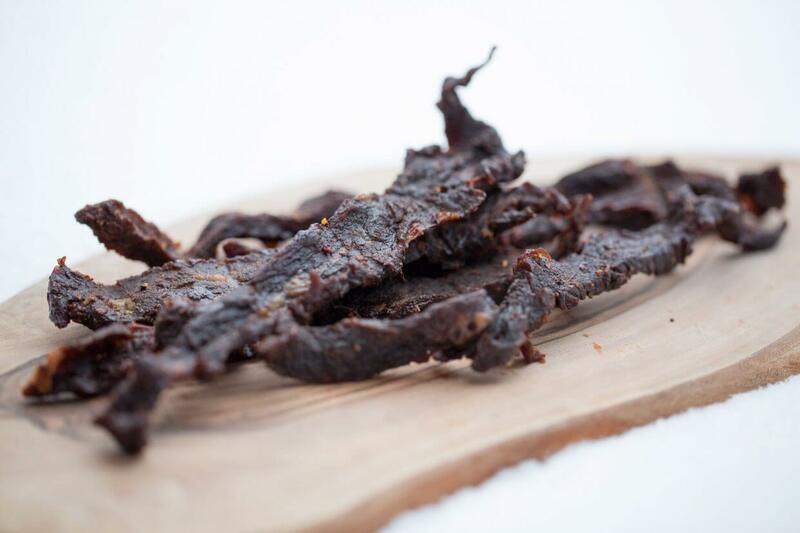 Even if you’re not a huge fan of beef jerky, this is a very simple recipe that makes a very delicious (additively delicious) and healthy snack. The recipe says you can use a few different cuts of meat. I used flank steak and cut it across the grain. I made the recipe during the week, so I sliced the meet one evening, marinaded it for 24 hours, and cooked/dried the meat the following evening. Give it a try. I’m definitely making another batch very soon.